It is an act of cowardice to seek from (or to wish to give) the people we love any other consolation than that which works of art give us. These help us through the mere fact that they exist. To love and to be loved only serves mutually to render this existence more concrete, more constantly present to the mind. With all things, it is always what comes to us from outside, freely and by surprise as a gift, without our having sought it, that brings us pure joy. In the same way real good can only come from outside ourselves, never from our own effort. We cannot under any circumstances manufacture something which is better than ourselves. Thus effort stretched towards goodness cannot reach its goal; it is after long, fruitless effort which ends in despair, when we no longer expect anything, that, from outside ourselves, the gift comes as a marvelous surprise. 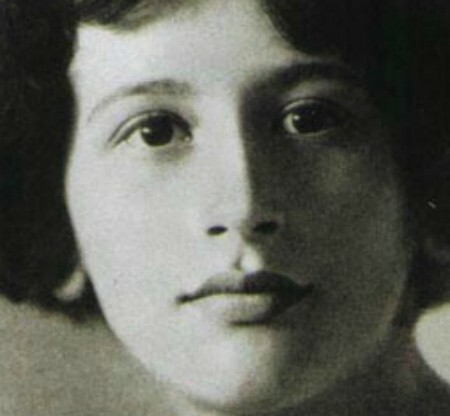 Simone Weil! Dave, you’re tending an important and, these days, it seems, almost forgotten garden.